Suggesting that, perhaps, Game Of Thrones’ Lena Headey and Charles Dance should read a film’s entire title before they agree to be in it, the pair have joined Pride And Prejudice And Zombies. This comes via Deadline, which doesn’t say which parts Dance and Headey will be playing, but we imagine the story can find a place for a couple of actors with experience as upper-class snobs who live in a world that is being threatened by undead monsters. That’s what Gosford Park was about, right? Either way, Headey and Dance will be appearing alongside fellow respectable actors Lily James, Jack Huston, and Matt Smith, all of whom also really should’ve bothered to read the whole title. Come on, guys. Deadline also reports that Screen Gems has picked up the U.S. distribution rights for Pride And Prejudice And Zombies, which is forcing us to consider the terrifying possibility that it will actually come out someday. The movie has been in the works since Jane Austen’s original novel was released in 1813, so it will certainly be surprising if it manages to hit theaters within our lifetimes. 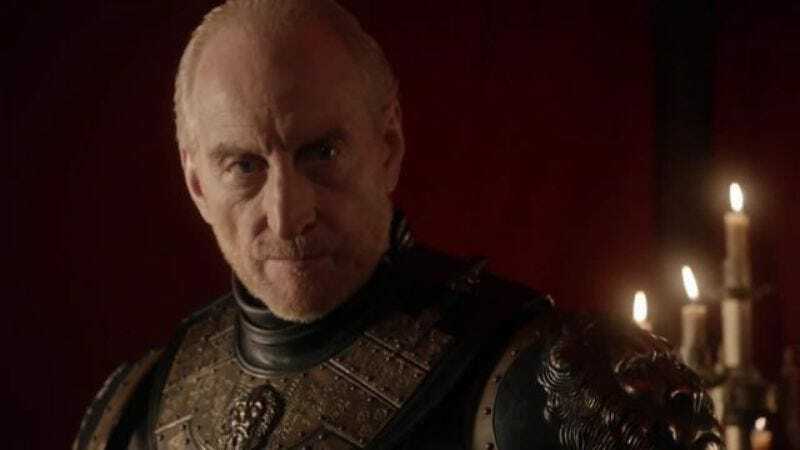 We’re still skeptical, though, so we won’t believe it until Charles Dance takes us to see the movie and then let’s us pretend to shoot him with a crossbow while he goes to the bathroom. It’ll be fun, Chuck. Give us a call!